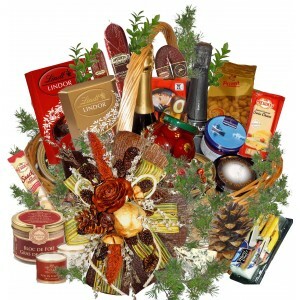 Many Thanks Gourmet BasketThe Gourmet Basket includes: * 2 kind of Flat sausages - 350 g;* Salc..
Best of the best - Gourmet basket and trufflesOur woven basket includes: * Whole Black Truffles..
A bountiful holiday harvestOur woven basket includes:* Smoked Salmon - 200 g;* 3 Kind of Flat Sausag..
A gourmet feast Christmas basketOur woven basket includes:* 3 kind of Flat Sausages - 560 g;* 3 kind..
Festive feast gourmet basketOur woven basket includes:* Bloc de Foie Gras de Canard - 180 g;* Fillet..
Horn of Plenty - Gourmet BasketOur woven basket includes:* Whole Black Truffles in a jar - 35 g;* 3 .. 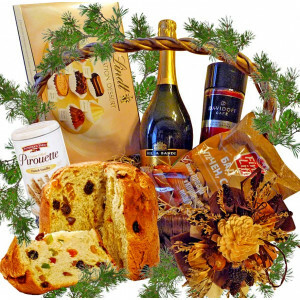 Happy holiday! 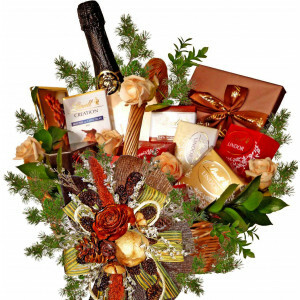 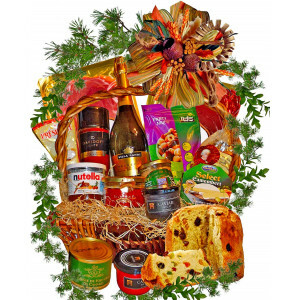 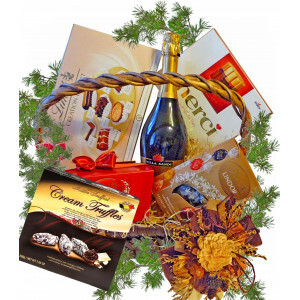 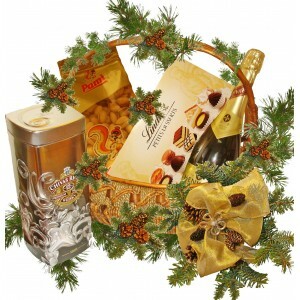 - Gourmet basketOur woven basket includes: * LINDT Creation Dessert - 170 g; * B..
A world class boss basketOur woven basket includes:* Fillet Elena - 200 g;* Pastarmi - 200 g;* Salch..
LINDT and wine - Grand gourmet basket Chocolate Basket indeed ! 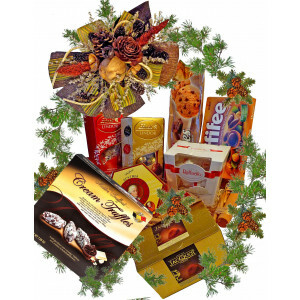 The basket full of excell..
Sweet hamper gourmet basketOur woven basket includes:* LINDT Lindor Ballotin - 250 g;* LINDT Lindor ..
LINDT - The Grand Gourmet Basket Chocolate Basket indeed ! 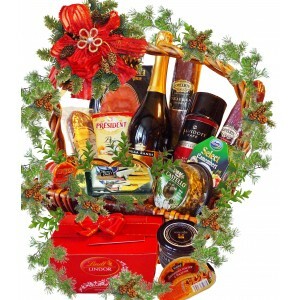 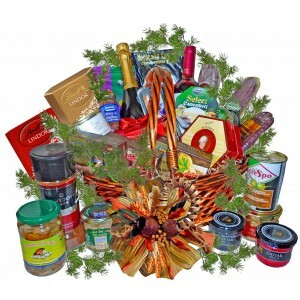 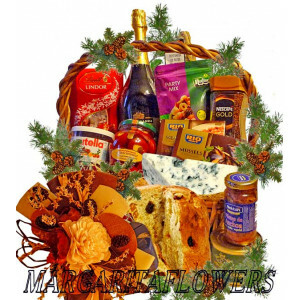 The basket full of excellent v..
Classic holiday gourmet basketOur woven basket includes: * Salchichon - 400 g;* Blue Cheese - 3.. 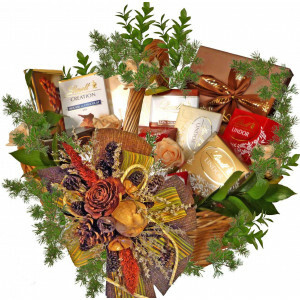 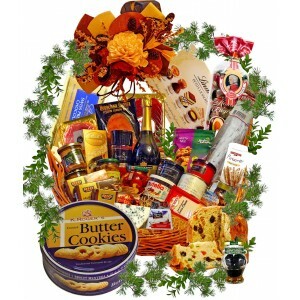 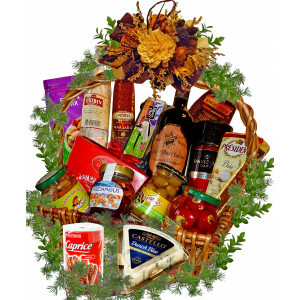 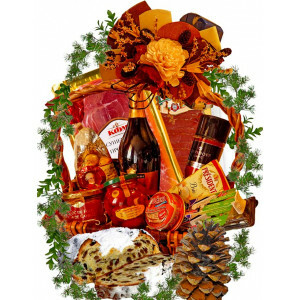 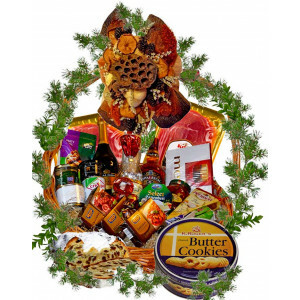 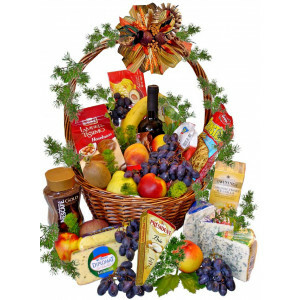 Delicious gift basketOur woven basket includes: * Fillet Elena - lean pork meat - 200 g;* Pasta..
Mixed basketThe basket includes:* 5 Kind of Assorted Cheese - 1200 g;* 5 Kind of Assorted Cookie - 1..